Warranty against manufacturing defects only. 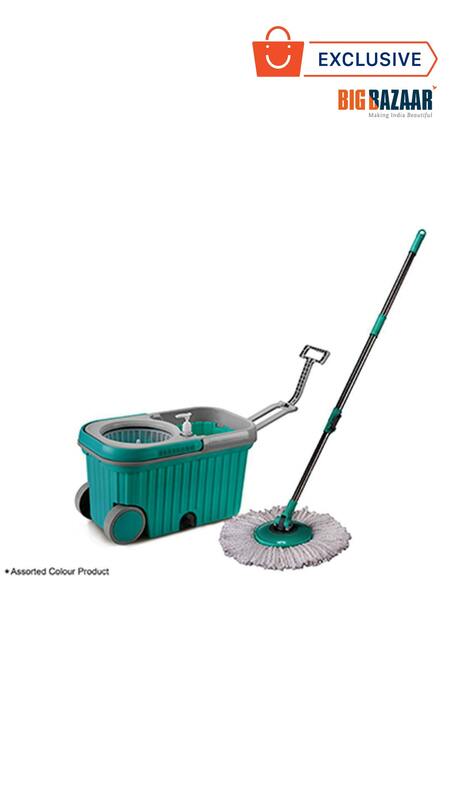 The super wheels magic mop bucket is an innovative way to clean your home without much hassle. Made using virgin plastic, this mop is easy to use and durable too. It comes with drainage plug on the side, which helps in draining out the soiled water without having to lift the mop bucket. || additional features: material: bucket - virgin plastic, mop head - microfibers, utility: deep cleaning microfibers removes dust easily.